This week I’ve written a very special review about an adorable book called ‘Before You Sleep’ by a wonderful author called Benji Bennett. 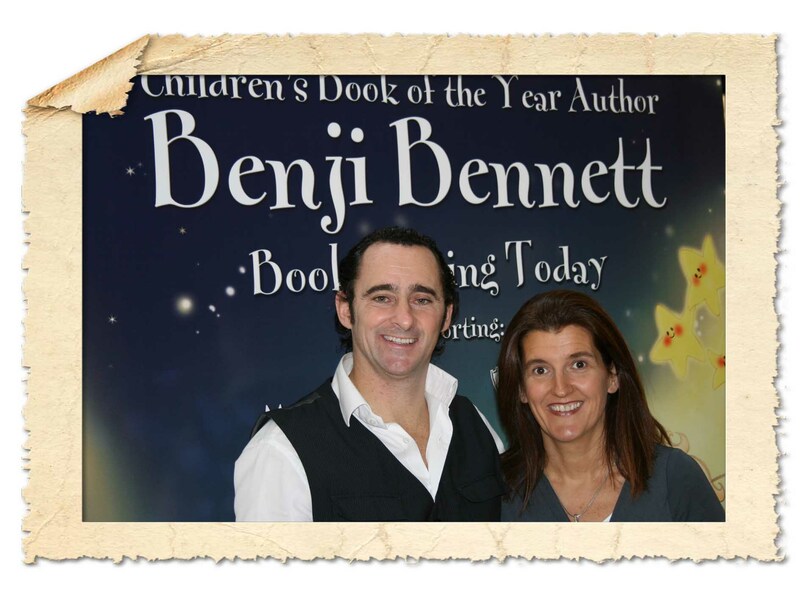 I had the pleasure of meeting Benji recently at a show I was at and he is a fabulous author and father from Ireland with a range of beautiful and enchanting children’s books. I was at the show with my little girl and came across Benji’s stand. I was instantly drawn to the beautifully illustrated and eye catching titles displayed. I got talking to Benji about his books and learnt that he had written the series of ‘Adam’s Stories’ in memory and celebration of his gorgeous little boy Adam who tragically passed away a few years ago. 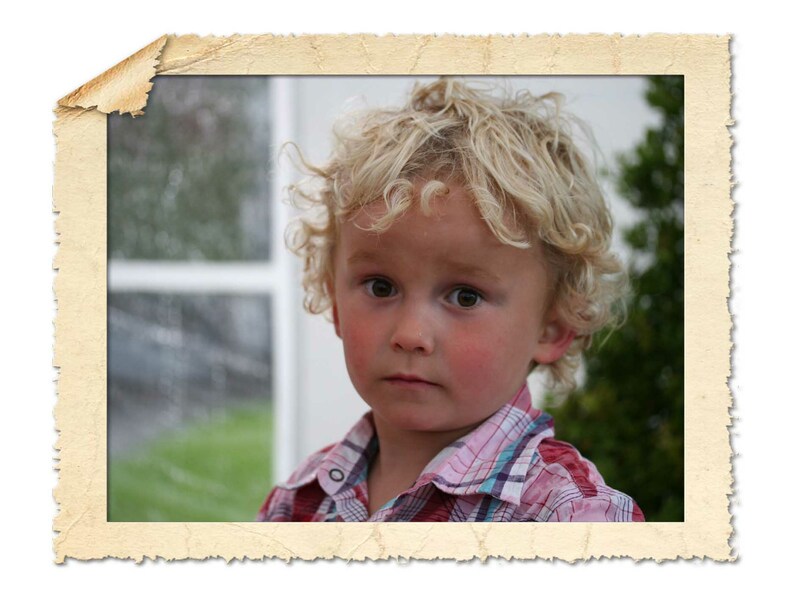 Adam was only four when he fell ill whilst on holiday with his family. He had vomited but the family had thought nothing of it as first, believing it to be a tummy bug. However three days later things had not improved, the vomiting was continuing and Adam was admitted to hospital severely dehydrated due to being unable to take and keep down fluids. At hospital he had a seizure and very sadly went into a coma. Further examination and tests discovered that Adam had a very aggressive brain tumour and as a result he had to have an operation but tragically died 24hrs later. The happiness the family had with Adam and their other children helped drive them forward in what ultimately was an awful time in their lives. They decided to seize the opportunity to celebrate Adam and Benji began writing, releasing his feelings and the love he had for his son. I guess it was his way of grieving in a sense. 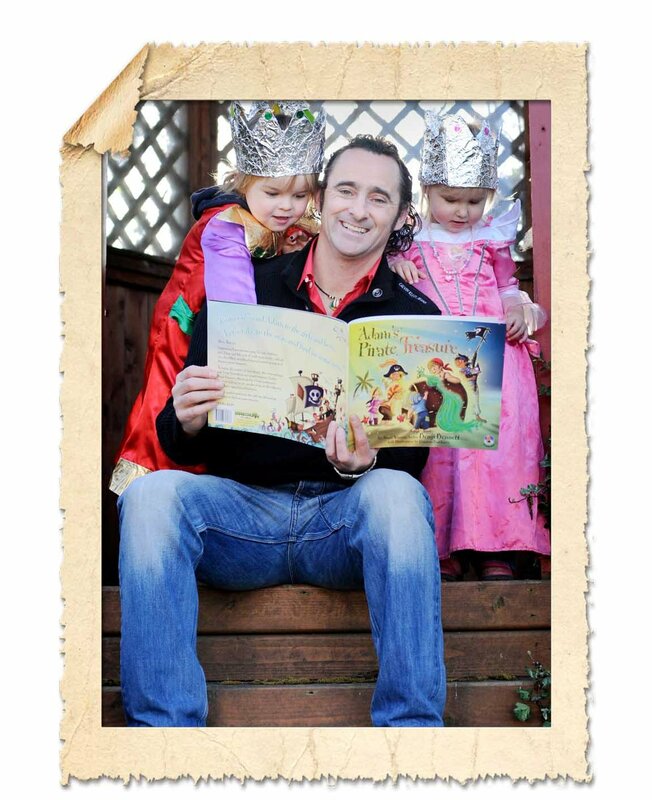 But the beautiful words he wrote down became much more than that, they grabbed the attention of parents across Ireland and his first book ‘Before You Sleep’ was voted ‘Children’s Book of the Year’ at ‘The Irish Book Awards’. Since then Benji has written several further book’s in the Adam’s stories series, including ‘Adam’s Amazing Space Adventure’, ‘Adam Saves Christmas’, ‘Adam’s Pirate Treasure’ and ‘Adam’s World of Wonders’. Benji and his wife feel Adam is still very much around them and helping them along the way, especially with the books and this is a driving factor in the ‘Adam’s Stories’ series. 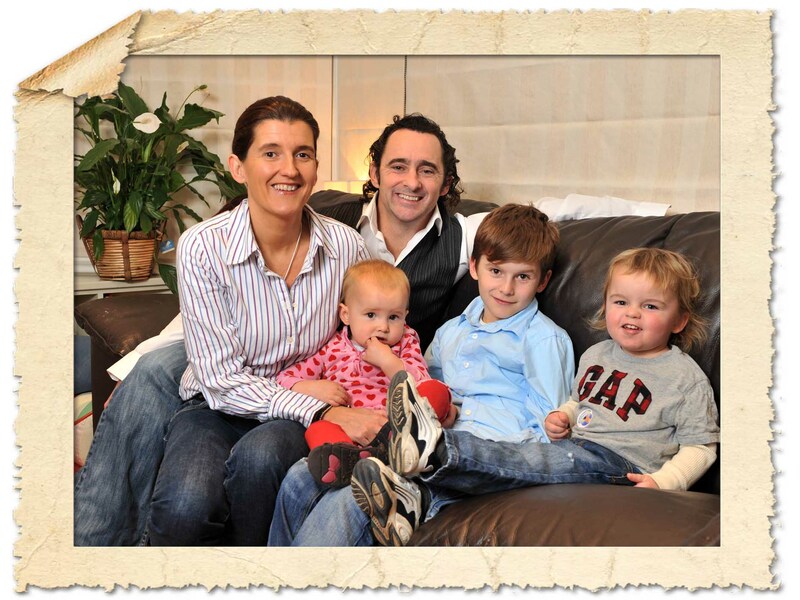 Barretstown also have recreational and therapeutic programmes for children who have cancer and their families. The purpose is to rebuild confidence, trust and self-esteem whilst healing emotional scars. To find out more visit the Barretstown website. As I chatted with Benji I knew I just had to have one of the book’s for my daughter’s collection and realised what a wonderful opportunity it was for me to use my blog to spread the word about the Adam’s series and the importance of letting your child know every day just how much you love them. So this is hopefully in this post what I am aiming to achieve. Benji is right, life is far too short, a series of things that have happened of late has made me realise this only too much. We have to all seize every opportunity to spend quality time with the ones we love and to tell our children and our loved ones every day just how much we love them. The book recommended and very kindly given to me by Beni was his first, ‘Before You Sleep’ and I have been reading this with my little girl. 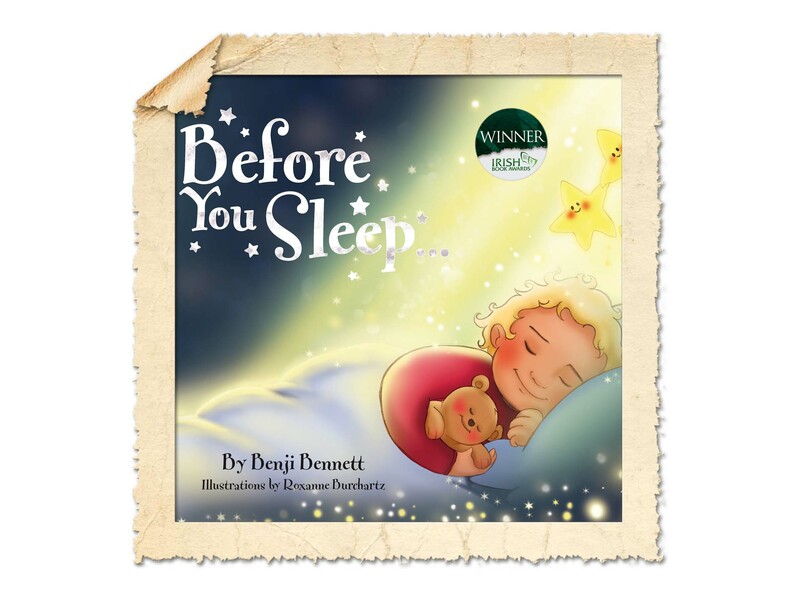 When reading ‘Before You Sleep’ you can feel the warmth and love oozing from the words written by Benji. It’s a collection of short rhymes that combine the concept of love with creative and imaginative fun and adventures. If you feel anything like I did then this may bring you close to tears. The word’s of the story itself begin with “It’s time to sleep but before you go there’s something I really want you to know” and this in itself is also a moving tribute to his beautiful little boy and any much loved child out there. The book takes readers through many enchanting and beautifully illustrated experiences, from a colourful beach scene, building sand castles and a galactic space adventure to the moon and stars to a deep sea and pirate treasure hunting adventure and travelling back in time to the dinosaur and caveman era, before ending with a beautiful image of Adam and his parents, cuddling up to that all important bedtime book and cuddle among the final words, simply, ‘Night, Night, Sleep Tight My Bundle of Joy’. The words pulled at my heart strings and I felt a small lump in my throat at the end of the read, knowing Adam’s story and the love his family felt for him and how this came across in every word. But also, I felt the fun and creative nature of the Bennett family, as well as an overwhelming sense of love for my own little girl, the reaffirmation of just how much she means to me and how precious every second with her is. I am so glad I came across Benji’s stall at that show, it almost feels like it was meant to be and that I now have a responsibility (one that I am pleased about) to share Adam’s legacy with my friends and followers. I have no doubt that ‘Before You Sleep’ will become a firm favourite in our household for both me and my daughter and I look forward to buying more of the Adam’s Stories range and seeing the amazing adventures that Adam goes on. The words are beautiful and the illustration, by Roxanne Burchartz of Cartoon Saloon, is just amazing. I would highly recommend the series to anyone. If you want any further proof Catherine Zeta Jones, Michael Douglas and Adam Sandler are huge fans of the series too so what better endorsement. A sad but beautiful post, glad I re tweeted this! I’ll definitely be adding this to Sam’s wish list!